The Connecticut Emergency Preparedness Mobile Application allows Connecticut residents to access emergency information and alerts on the go in the event of an emergency. The Emergency Preparedness Mobile Application allows Connecticut residents to access emergency information and alerts on the go in the event of an emergency. 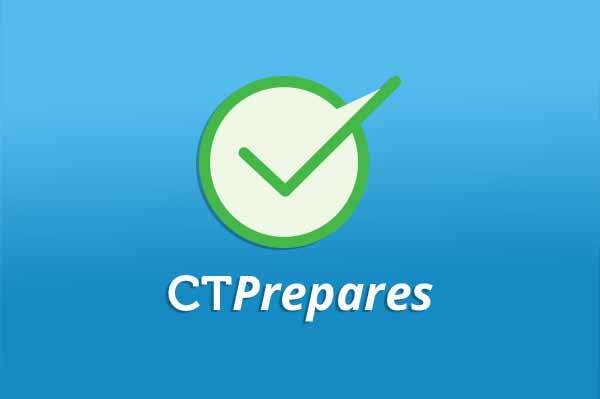 Connecticut residents can create interactive emergency kits, customize family communication plans, and view preparation guides on what to do in an emergency, all from their mobile device. The Emergency Preparedness Mobile Application integrates with a phone’s text messaging, email, and social networking, allowing residents to inform family members when they are safe. Real-time notifications are sent directly to the device providing up-to-the-minute information for residents. Links to Emergency needs such as shelters, food, and assistance are at hand.